Have you worked in the Studio J Express Collections? 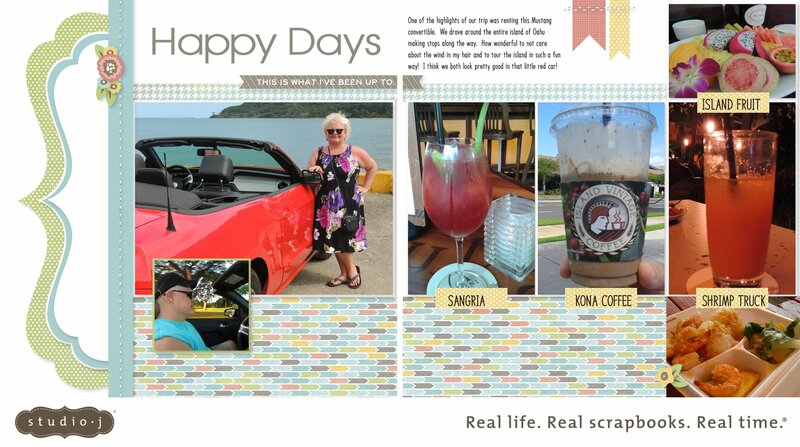 Other than Picture My Life pocket scrapbooking, I can't imagine a faster, simpler, and easier way to scrapbook! Let me show you a layout I did at the end of last month. It is so easy to add a journaling box or change an existing one to a photo well. There is a toolbar on the left sidebar in Studio J, and all of that is done with the click of a button. The only other thing I made is tags for my photos, and I did that by selecting the yellow banner on the top and pasting it where I wanted it. I added title boxes over them to type my words. Really, it is so simple! I am not a computer girl, and I am able to do these layouts while I am sitting outside or when I am in my family room. I LOVE the Express Collections because they simply are drag and drop. Over the next few days, I am going to show you a few other pages I've done. 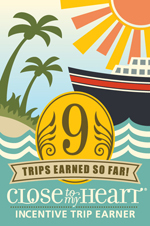 When we are busy in the summer, this is a great way to catch up!! Why not go in and give it a try? All you need to do is create an account, and you can play all you want. You never pay anything until you place an order at the end! A 2-page layout is just $6.95 (yes, you heard me right! 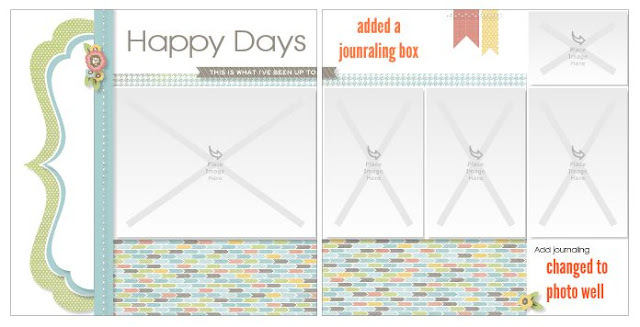 ), and you can order anywhere from 4 - 50 layouts for the low shipping price of $5.95. Let me know if you have any questions! Looks like fun! When I went to Hawaii to visit my brother and wife that were stationed there, we stopped along the way bought fresh prawn from a shrimp farm and my sister in law made Shrimp Scampi. Oh My Goodness! Great layout in Studio J!